When I was first offered the chance to cover Charlie Mars' Labor Day weekend gig, I hesitated. Slick singer/songwriters aren't generally for me, and with few exceptions I prefer not to write about music I really don't like. There's usually little point in slamming an artist, especially knowing going in that they're unlikely to be something I'm going to digest well. Luckily I decided I couldn't pass up the chance to check out Chicago's newest venue, the swank yet surprisingly laid back City Winery. Well, you can't judge a book by its cover, and apparently you can't judge a singer by his pretty boy looks. Mars confessed at the get-go that he's seen one too many episodes of VH1 Storytellers, and playing without a backing band gave him the chance to showcase his considerable songwriting talent, as well as to indulge in some story telling of his own. The result was less a straight concert and more a one man show, an impressive combination of charm, humor and nuance- both in the music and in the tales behind it. "I Do I Do," which appears on the recently released Blackberry Light, swayed on a fragile melody, taut enough to support some of the night's more simplistic lyrics, but spacious enough to lend them gravity. The love song's precision and grace was made even more impressive by the admission that it was written hastily the night before a friend's wedding. "Meet Me By The Back Door," Mars' tongue-in-cheek attempt at "sexing up" his image, was catchy in its silliness while still providing a showcase for clever turns of phrases. Some of the evening's biggest laughs came at lines like I got a little/ I could use a little more and why do you make me wait so long/ when you know I got this monkey to please. A more serious and moving metaphor was the foundation of "Blackberry Light," a studied meditation in which Mars compares his own listlessness to fumbling in the dark by the glow of cell phone. The only things more prevalent than wordplay during Charlie Mars' set were seductive melodies and references to smoking weed. And here I thought I wasn't going to enjoy myself. The somber tip-toe of "Listen to the Darkside" shimmered in its minimalism, allowing Mars' nimble vocals to take center stage. While the idea that toking up to Pink Floyd can ease all forms of weariness is sentimental at best, the singer's thoughtful croon was more than convincing. The song also served as an interesting companion piece to "How I Roll," a bluesy, paranoid jaunt whose pop fell a bit flat without a backing band. "Roll" was the exception though, as I enjoyed Mars more without the glossy production and noodling that sags a few songs on Blackberry Light. "Got To Be Blue" epitomized just what the singer is capable of when left to his own devices; the thoughtful ballad-of-the-down-and-out was the most mesmerizing and emotional tune of the night. I'm hoping Mars can fend off his producers long enough get it recorded without any added pomp. The evening closed with a positively appropriate cover of "The Joker," a song that seemed almost perfectly autobiographical. 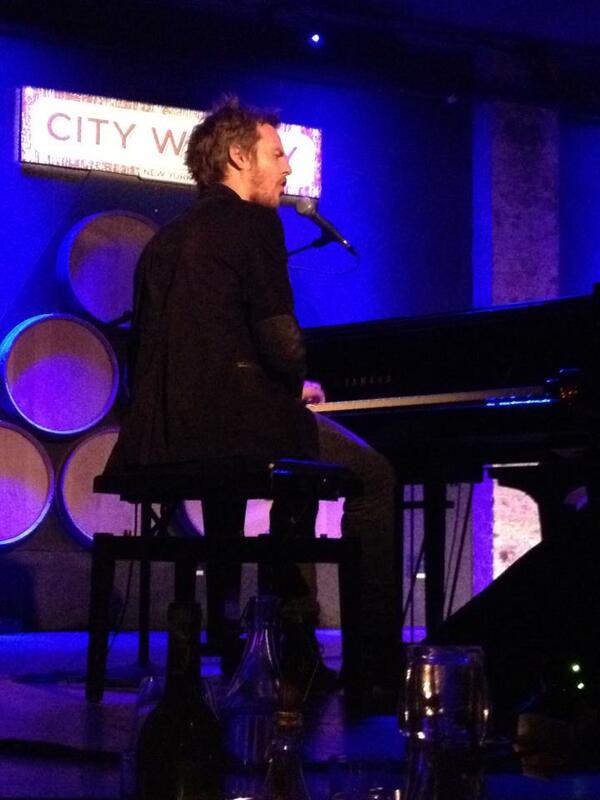 The man tokes, and he jokes, and he showed City Winery a good time.